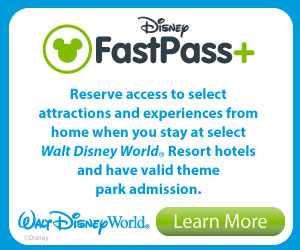 In summer 2015, Disney Cruise Line Guests can immerse themselves in the animated hit “Frozen” with brand-new experiences inspired by the film, including a spectacular deck party, a three-song stage show production number, new character meet and greets, storybook adventures ashore and more. Debuting this summer, on select Disney Magic and Disney Wonder sailings to Europe and Alaska, you will be transported to the land of “Frozen” when the ship is transformed into a winter wonderland for one day of frozen fun. “Freezing the Night Away with Anna, Elsa and Friends,” a family-friendly interactive deck party featuring the famous royal sisters of Arendelle and their fun-loving Nordic companions. Also on the Disney Magic this summer, friends from “Frozen” will make their stage show debut at sea in the Walt Disney Theatre aboard the Disney Magic. In the Disney Cruise Line original production, “Disney Dreams … An Enchanted Classic,” Anna, Elsa and Olaf join the line up of beloved Disney characters who together teach a young girl the power of her dreams. Guests who travel aboard the Disney Magic to Norway will have the opportunity to join exciting new Port Adventures that bring the fairytale setting of Arendelle to life. One signature adventure ashore in Ålesund, Norway, created exclusively for Disney Cruise Line, will immerse Guests in the splendor and charm of Norway, with the help of Anna and Elsa, in an enchanting storybook village. 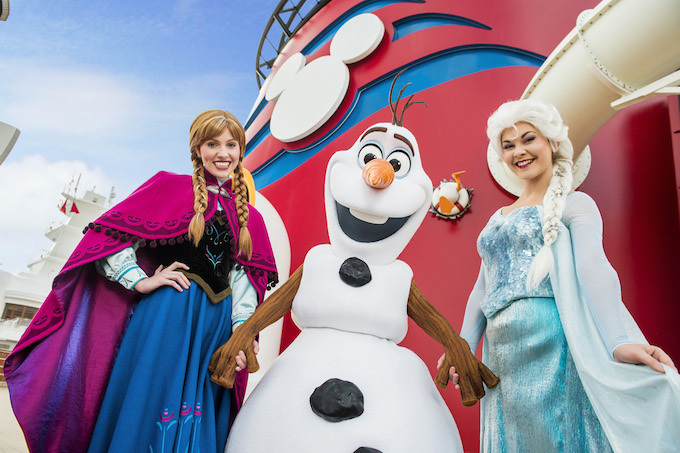 On the Disney Magic, Disney Wonder, Disney Dream and Disney Fantasy this summer, Olaf will be giving warm hugs when he joins Anna and Elsa on their royal tour of the Disney Cruise Line ships. Guests should check their Personal Navigator on the first day of their cruise for special Meet & Greet ticket distribution locations. And, with the help of everyone’s favorite snowman, Disney Cruise Line is cooling down Disney Castaway Cay with the addition of Olaf’s Summertime Freeze bar. Serving non-alcoholic specialty frozen drinks, Olaf’s Summertime Freeze opens summer 2015 near the Pelican Point tram stop by Disney Castaway Cay Family Beach. So much Frozen Fun this summer. Don’t miss it! Contact me for a no obligation Disney Cruise Line quote today. Disney Cruise Line just released their new Fall 2015 itineraries and they’ve got some exciting things going on. That’s right, they’ve returned to the port of Galveston, Texas for a limited time. Holiday season sailings to the Bahamas and Western Caribbean. The Wonder is will be in Hawaii for 2 special 10 night sailings September 7th and 17th. Then she is off to San Diego for the month of October with 6 sailings to Mexico! Of course, the traditional sailing from Port Canaveral Florida continue with Bahamas and Caribbean itineraries which all include a day at Disney’s private island paradise, Castaway Cay. Contact me to get pricing on these fabulous cruise itineraries, these limited engagements will book up quickly!